Our clients can avail an enticing range of animal print stoles that is widely appreciated by our clients for its prints, designs and colors. 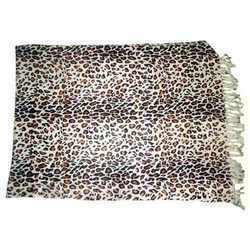 These animal print stoles are very much in fashion that give a different look to the wearer. Our animal print stoles are available in various types of fabrics, sizes and colors that give wide options to the customers. We are offering a unique range of animal print stole (FCV- 1108), which is available in plenty of designs and colors that can be varied to create distinctive combinations ranging from elegant traditional designs all the way to wildly sophisticated new looks. These 100% viscose stoles are warm and soft and provide comfort to the wearer. 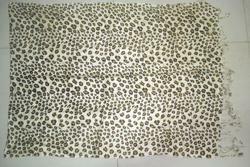 Our animal print stole are in 70 x 200 cm sizes. We bring forth for our clients with an alluring range of animal print stoles (N256), which is an exotic blend of design, colors and patterns that meet the varying needs of today’s generation. 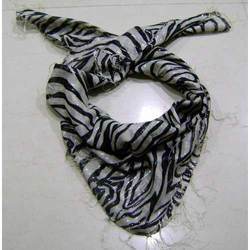 These zebra printed cotton scarf with lurex are widely appreciated by our clients for their eye catchy prints and color combinations. 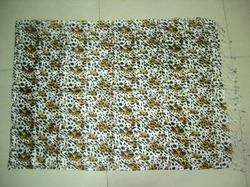 Available in 100x100 cm sizes, these animal print stoles can also be customized as per the requirements of our clients. 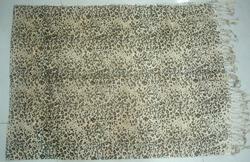 Offering a wide of Modal Animal Print Scarf in a variety of fabric qualities, colorways & sizes. These can also be customized to client's requirement & specifications. 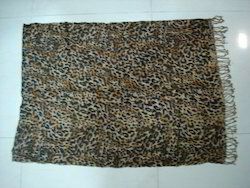 Offering a wide of animal printed scarfs in a variety of fabric qualities, colorways & sizes. 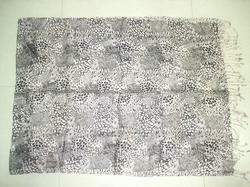 Offering a wide of animal printed scarves in a variety of fabric qualities, colorways & sizes. Looking for Animal Print Scarves ?